As a company who creates video content for marketing and advertising purposes, we are interested in all forms of rich media. Rich media is a term that is used to describe ads that include features like photography, video or audio. Features that encourage the viewer to engage and interact with the content. I first began to notice cinemagraphs when I was beginning to make the transition from stills photography into filmmaking in 2013. Their hypnotic quality was deeply engaging. I downloaded Flixel Cinemagraph Pro and began creating some of my own as part of personal projects, but I never really thought of using them for commercial purposes. Since then cinemagraphs have become another valuable format for social media. Facebook and Twitter have an autoplay feature, Instagram has looping videos and Pinterest has branded cinematic pins. All are optimal for cinemagraphs. They have been used by huge brands such as Coca-Cola, Honda and Heineken. A cinemagraph is a living photograph. It is a high quality image (at least HD, preferably 4K) where a small, repeated movement occurs to create a hypnotic impression on the viewer. It loops seamlessly. Kevin Burg and Jamie Beck invented the term in 2011. We like to think of them as high-end GIFs. We want to help start-ups and more established SMEs compete for business at the highest level. Digital marketing is an accessible way for businesses of all sizes to market themselves and potentially achieve great success. However, as an SME, dealing primarily with other SMEs, we understand that resources can be limited. Cinemagraphs (or micro-promos) are a cost effective format to for businesses looking for maximum effectiveness on digital marketing platforms from your website to social media. We created three for our homepage. It is still pleasantly surprising how often prospective clients make positive comments about them. 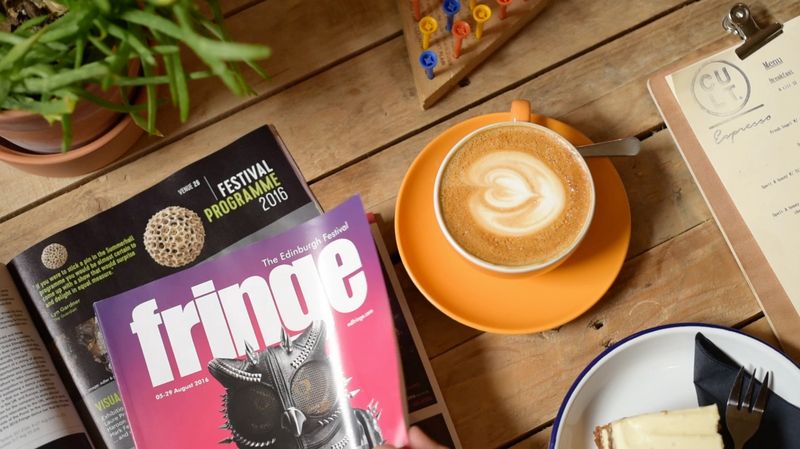 Recently we created a short series to celebrate the Edinburgh Fringe Festival with encouraging organic performance. Drop us a line to if you want to discuss the prospect of collaborating together on some cinemagraphs! Our email is hello [at] shakehaus [dot] com. Or you can use the form here. Next PostWhat Do I Need To Know About 360 Video And VR?